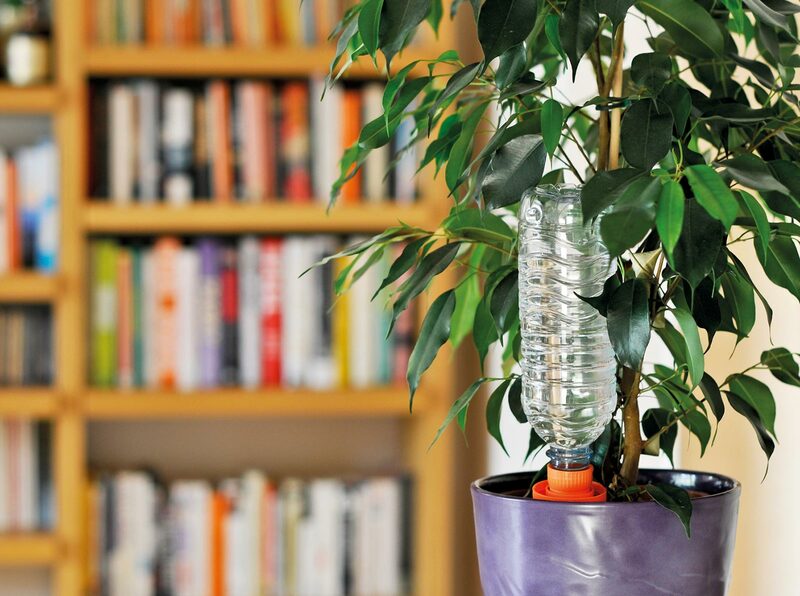 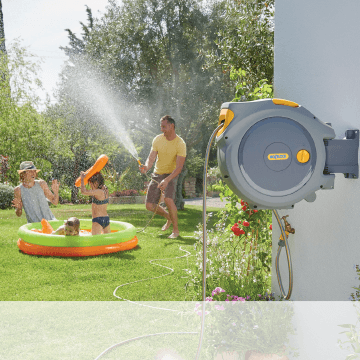 The Aquasolo is a simple watering system that can be used for pot plants around your home. 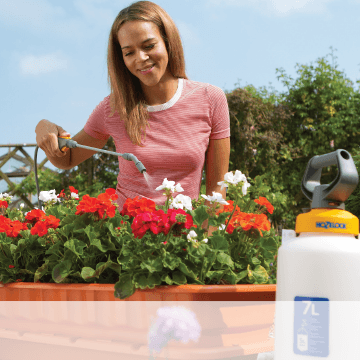 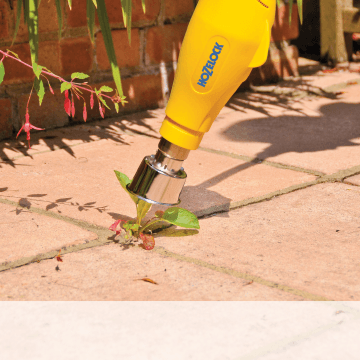 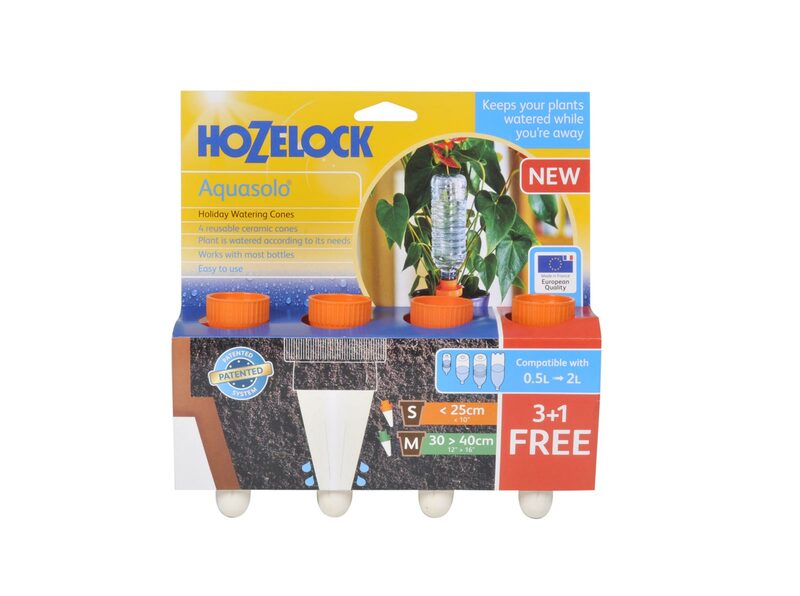 Simple watering system that can be used for pot plants around your home – Aquasolo ceramic watering cones offer an innovative way of caring for plants both in the home & garden when you are away. 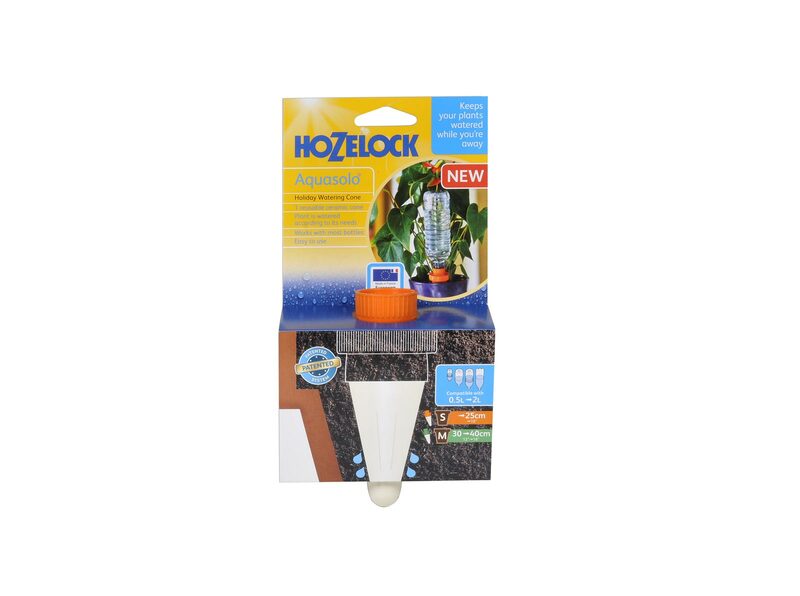 Simple self-watering system – Made up of a ceramic cone and a plastic screw adaptor, it is easily assembled in a few minutes. 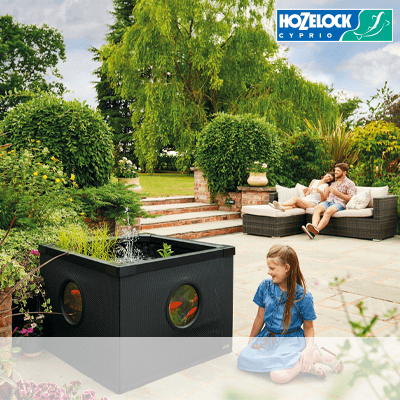 A re-usable reservoir – Aquasolo can also be used to provide hungry plants with liquid feed and is great for greenhouse and house plants alike. 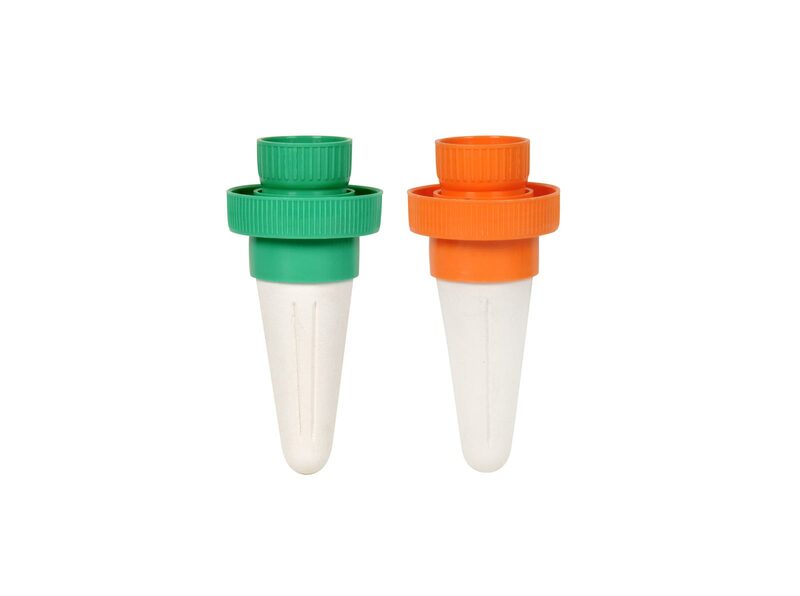 Available in two sizes – Small and Medium. 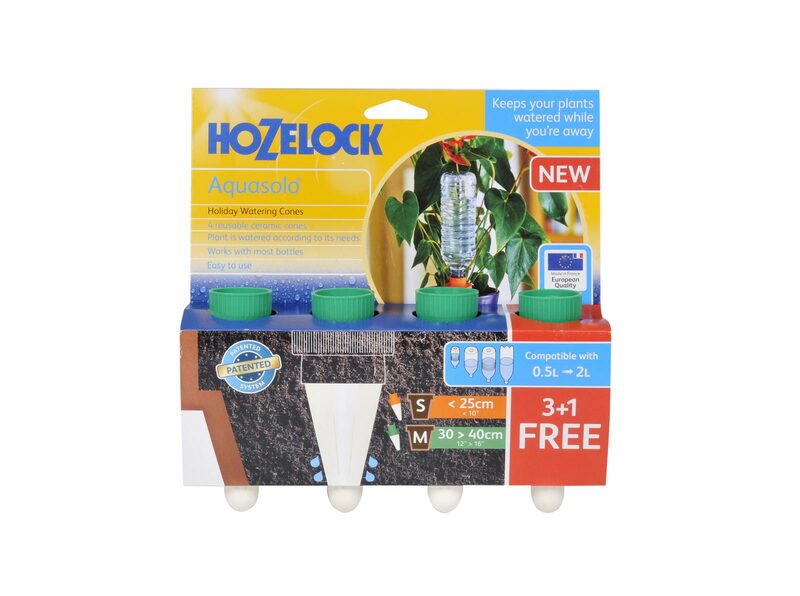 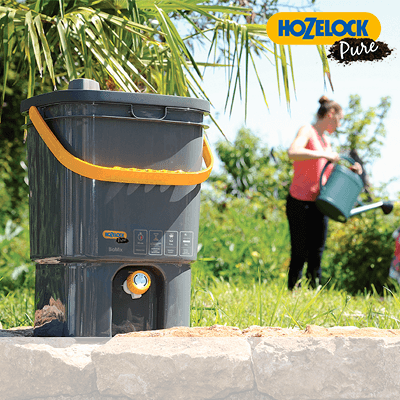 The watering cones are compatible with most bottle types from 0.5l to 2l capacity and cater for plant pots up to 40cm in diameter, keeping plants watered for up to 28 days. 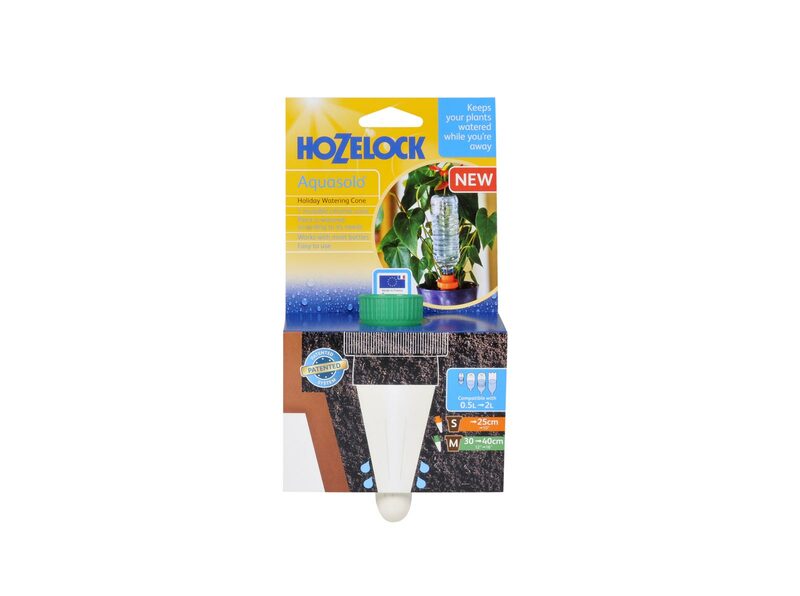 Tip – To ensure optimum performance of your Aquasolo, remove the cone every few months and soak in a vinegar solution, brush & rinse in clean water.